Have you ever tried tea to relieve your stress? Stress! Stress! Stress!- I can smell the stress everywhere in the air. In the last few articles, we are mostly talking about different ways to de-stress yourself. I have written a detailed article on stress relief gifts. You can not only gift these products to your friends and well-wishers but also you can use these products for yourself. Before we start discussing the best tea for stress, lets first check out some astonishing fact about tea that will definitely blow your mind. There are four major types of tea-black, green, white, and oolong but the astonishing thing is that all these tea comes from the same plant, Camellia sinensis. 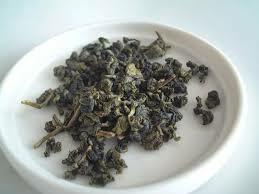 The different types of tea totally depend upon the preparation and treatment of tea leaves. Tasseography is the art of reading the tea leaves. I hope you will not be aware that for centuries, tea was only used as medicine. It took around 3000 years for it to become an everyday drink. Always remember to use fresh water when you are preparing tea, if previously boiled water is used in the preparation of tea then it can spoil the taste of tea. There is a scientific reason behind this. When the water is boiled the oxygen loses oxygen. Lemon and milk shouldn't be used in the same cup of tea because lemon will definitely curdle the tea. There are around 3000 types of tea in the world. Moving further, let's discuss some of the health benefits of tea. Tea is a good source of antioxidant and thus helps our immune system to fight against free radicals. Tea has less percentage of caffeine as compared to coffee. Tea may reduce your risk of heart attack and stroke. Drinking four to five cup of green tea also reduces the level of LDL cholesterol in the body. Tea may help you with weight loss. In the United States, stress-related problems are so common that many meditations techniques and medicines have been developed to cope with stress. I have seen individuals taking more than one type of medicines to de-stress themselves. Herbal tea contains an ingredient that targets stress responses. The best part of sipping a cup of tea every day is its capability to reduce the intensity of stress, improve sleep, moods, and energy. Tea also boosts the production of hormones GABA, serotonin and dopamine for a calming effect. High level of "bioactive" compounds such as adaptogens, flavonoids, and antioxidants works great for anxiety patients. They also help to lower the chronic inflammation that's been linked to disease as varied as cancer and Alzheimer's. I have personally felt the difference after adding green tea to my daily routine. I used to sip 3 cups of green tea every. Now, let's discuss some of the best tea that we can try to get rid of stress. I am very fond of the look and feel of this tea. It has a mild sweet taste and a pale yellow color. It is also popularly called "calming" tea. The tea is highly recommended for those suffering from anxiety. Most of the people prefer taking this tea before bedtime. It's a hundred percent free from caffeine. A rich source of anti-oxidant with many anti-inflammatory properties similar to green tea makes it a complete tea. 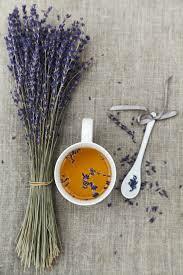 Similar to the Chamomile tea, Lavander tea also helps in easing out the stress. It is good for those who have stress or anxiety problems because of digestive system malfunctioning. This tea helps in calming down the digestive problem. Remember that nothing happens overnight. To reap benefits, you will need to inculcate tea into your daily routine. The number of cups and timing is totally your choice. My recommendation will be to contact a fitness consultant for getting a better result in an idiosyncratic span of time. The tea is very helpful for those suffering from intestinal gas, upset stomach, abdominal swelling, nausea, and vomiting. In some cases, it has been found to even work great against hair loss. You can also get benefitted when it comes to a headache, sprains, toothache, and sores. Lemon tea is my favorite. I really love the smell of the tea and it's enticing. 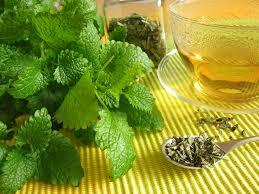 The lemon balm tea consists of a very important ingredient called terpenes. It is believed by many that terpenes can help in the treatment of Alzheimer's disease. 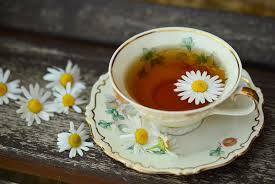 Lemon balm tea doesn't cause drowsiness whereas Chamomile tea does. Like other tea, it also helps in relieving stress and anxiety. You will also experience a boost in the cognitive function if this tea is taken for a considerable amount of time. For some, it has worked well when it comes to insomnia and sleeping disorders and for others, it hasn't. Menstrual cramps can be minimized but it totally depends on a person-to-person basis. So, in short, you can definitely try drinking lemon tea as it will definitely benefit you in some ways. Before we discuss the benefits of some other teas, let's have a look at some of the handpicked articles. Passionflower is well known for health benefits. 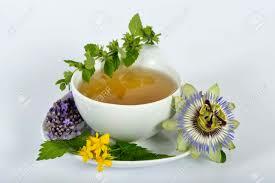 If we talk about the United States then passionflower is considered as an alternative or complementary medicine. This tea is prepared from the leaves and roots of this plant. 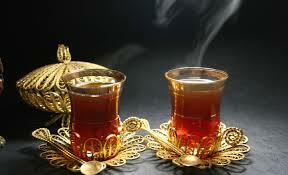 The tea helps to relieve stress, anxiety, mood swing, stomach upset, headache, asthma, and high blood pressure. Many people suffering from Insomnia prefer this tea. 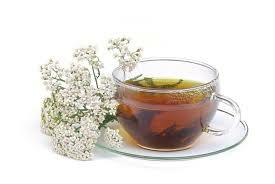 Valerian tea reduces stress and anxiety by putting a break on the production of cortisol hormones and reducing inflammation in the body and brain. This tea is popularly known for its sleep-enhancing properties. According to Memorial Sloan Kettering Cancer Center, Valerian may improve hot flashes and Insomnia in postmenopausal women. Golden root tea is mainly known for burning fat and thus helping you in losing weight. It helps your immune system to become stronger. People fighting with physical and mental fatigue drink this tea on a regular basis. This tea helps in fighting depression and improving brain function. This tea is known for multiple benefits. It helps in reducing the blood sugar level. The best thing about this tea is that it has anti-cancer properties and thus it helps cancer patient to fight cancer. It also works well when it comes to stress, anxiety, and depression. This tea is most popular among men suffering from fertility problem. It helps in boosting testosterone levels. It gives a boost to antioxidant level as well. Some other benefits include a reduction in cortisol, inflammation, and cholesterol. It definitely improves the brain function and muscles mass. 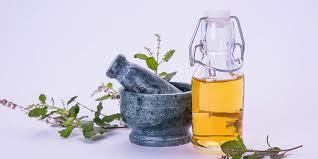 Holy basil is the popular name of Tulsi. It has been used for several thousand years to fight against diseases by boosting the immune system. You will find lots of people taking Tulsi leaves in the empty stomach. It supports the adrenal function. Catnip tea is made from leaves and flowers of catnip plants. This tea has multiple benefits which make it popular among people suffering from stress, anxiety, and problem-related to digestion. Act as an Anti-inflammatory agent. 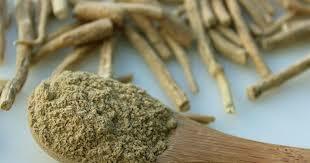 Ginseng tea is popular for its anti-inflammatory and anti-oxidant effects. The tea also helps in fighting stress, anxiety, and erectile dysfunction. In some cases, it has also helped to regulate blood sugar and enhance brain function. I hope most of my readers have known about making a cup of herbal tea. It's a great feeling to take out time from the busy schedule to have a cup of tea. We really feel the warmth and relaxed with tea in our hands. Like millions of people, I am also a great lover of tea. 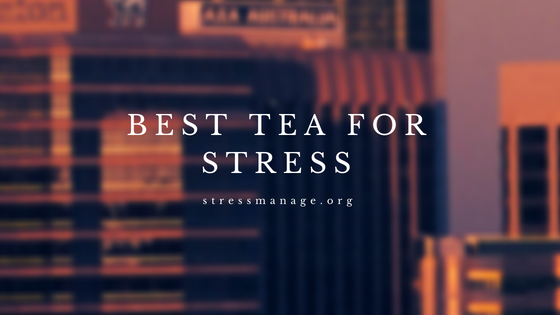 Conclusion: I hope you will definitely love the list of the best tea for stress. It will definitely help you not only to relieve stress but also boost the brain function and immune system. 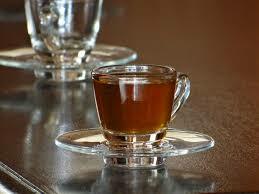 As discussed, some of the above tea helps to get rid of menstrual cramps and erectile dysfunction. I will recommend you to replace coffee with tea and you can feel the difference in a couple of months.